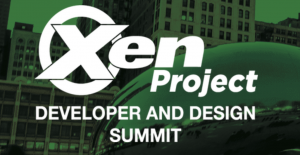 Starting today, registration officially opens for The Xen Project Developer & Design Summit. This year’s Summit, taking place from July 9 through 11 in Chicago, will bring together the Xen Project community of developers and power users to share ideas, latest developments, and experiences, as well as offer opportunities to plan and collaborate on all things Xen Project. If you’d like to present at the Summit and have a topic that you’d like to submit, the Call For Proposals is open now and will close April 12, 2019. Last but not least, we have many opportunities to support the Summit via sponsorships. For information regarding registration, speaking opportunities and sponsorships, head over the event website and learn more!